Local researchers are exploring and encouraging new technology to try to slow the rise of motorcycle deaths in the U.S. that jumped 5 percent between 2015 and 2016. The displays might show for example that there’s an upcoming construction work zone or a sudden drop in travel speeds ahead. “Some of these technologies may not ever see the light of day, because they’re not getting really robust testing done and necessary work done with stakeholders to get attention for something that really could save lives. We’re here to expedite that process,” said Andy Schaudt, project director for the motorcycle research group at the Virginia Tech Transportation Institute. Partnering with the institute, Transurban has invested $400,000 in the project to help improve motorcyclists’ safety. More than 2,800 motorcycles a month use the region’s Interstate 95, I-395 and I-495 Express Lanes that are managed by Transurban. Ten percent of all work zone fatalities are motorcyclists. “You need to be aware there’s major construction activity underway on I-395 (in Alexandria and Arlington), and we know that during construction the risk for all drivers increases — particularly our motorcycle customers,” said Jennifer Aument, president of Transurban North America. “We urge you to watch your speed, avoid distractions and wear your proper equipment,” Aument added. Creating, testing, evaluating and analyzing a plan that comes from MotoTEC could take about a year, Schaudt said. 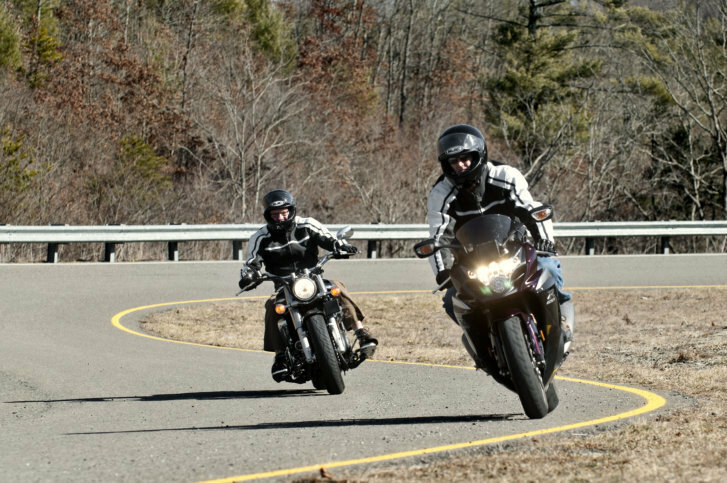 “But, that kind of depends on the riding season,” Schaudt said, noting that in Northern Virginia, the riding season tends to extend from springtime through the fall.